Another miniature horse has come to live on the farm. Her registered name is Wolfpens Mystic. 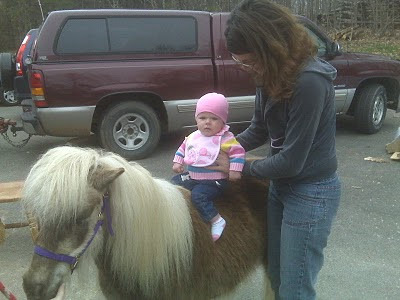 We call her Misty Misty will be the perfect mini whinny for Holly to learn to ride on. And gosh, what little girl doesn't want her own little pony. She is both saddle and cart trained. 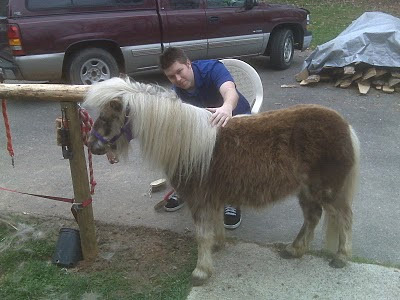 Here is Tim grooming her, and Misty modeling her new purple halter. Thanks Uncle Tim!